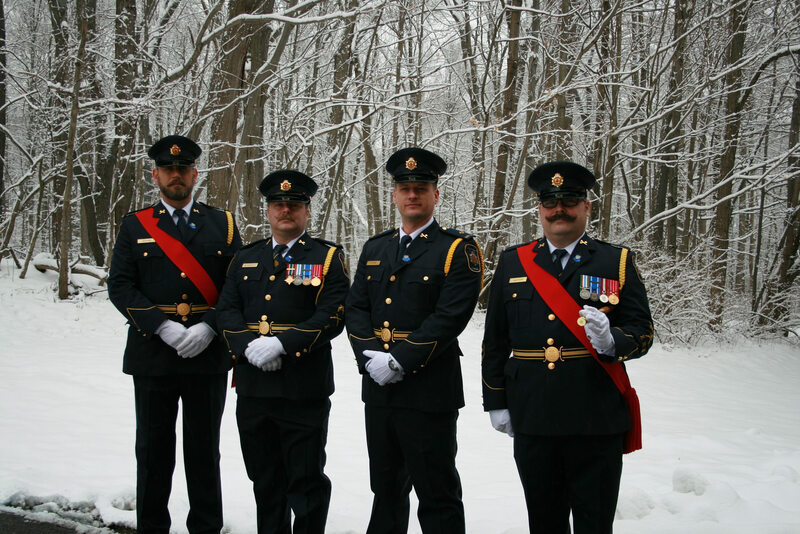 Following the sad events that rocked the State Correctional Institution (SCI) at Somerset, Pennsylvania, a group of correctional officers from the Ceremonial Guard from the Quebec Region decided to proudly represent Correctional Service Canada at the funeral of Sergeant Mark Baserman. “The ultimate sacrifice made by Sgt. Baserman goes well beyond the sacrifice of time and money that we made when we travelled to Johnstown, Pennsylvania,” said officer Dominic-Carl Gagnon from Drummond Institution. Sgt. Mark Baserman passed away following an altercation with an inmate on Feb. 15: The inmate allegedly punched and kicked him multiple times after just having a towel seized from him. On Feb. 26, Sgt. Baserman died from the injuries he suffered, making him the first Pennsylvania State correctional officer to die in the line of duty in nearly 40 years. “It is reassuring to see this coming together and this unit, from all these organizations, turn out to support the Pennsylvania DOC,” added Patrick Blanchette from Donnacona Institution. “It makes me proud to realize that our presence here was reported on by many American media outlets both in newspapers and on television,” said Bernard Lafond, who is also from Drummond Institution. “As Sergeant Major of the Regional Guard, I am proud to see such a high level of professionalism, dedication and pride within the Regional Ceremonial Guard of Quebec.